Katie Kilgore Hutchins loves her work. She enjoys the passion of clinical skincare and the changes she brings to her clients’ skin. Katie attended SCAD, working with her hands in Metal and Jewelry. Shortly after she began her spa career. Her skincare background includes several continuing education courses with Institut’ DERMed. Katie started working at the corporate offices of Institute Dermed as an administrative assistant. After receiving her education and license in Georgia, she moved to San Francisco where she worked for Origins as an esthetician. 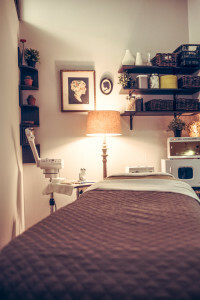 Arriving back in Atlanta, Katie found herself working for DERMed once again, but this time working as an esthetician at the Medical Spa in Buckhead. Katie then moved on to Salon Red & Spa in Candler Park where she spent six years developing the services and experiences for Salon Red’s customers. Katie thrives in knowledge of product ingredients and this shows in her highly customized facial services. These personalized treatments are specific to all skin condition, using the finest quality products to ensure maximum results. Call today for a free consultation!! 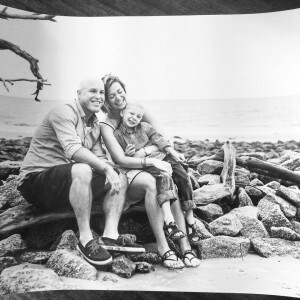 When Katie isn’t working she is keeping busy with her family; husband, Chris and son, Jack. Katie understands the importance of family as she comes from a large family herself with deep southern roots and lots of love. Ask her about them! She will gladly share some stories with you.